Many believe that December is the "most wonderful time of the year" but for a children’s librarian, it’s any time we can share our love for reading. This especially applies when we’re sharing it with our youngest patrons. November is Picture Book Month and in celebration, I’m sharing some of my favorite picture books for infants (the under two crowd). As a children’s librarian who has been hosting bi-weekly Baby & Toddler Storytimes for over six years, I’ve come across some great—and not so great—pictures books. Below are some of my favorites for infants—tested and baby-approved at previous storytime! Many caregivers focus on teaching infants about numbers, letters, colors, and shapes. While there are many great picture books dedicated to these subjects, I find myself gravitating toward books that teach other topics. One such topic is directional. Directional skills include over, under, around, through, etc. Many of these concepts are hard to grasp, even for preschoolers. 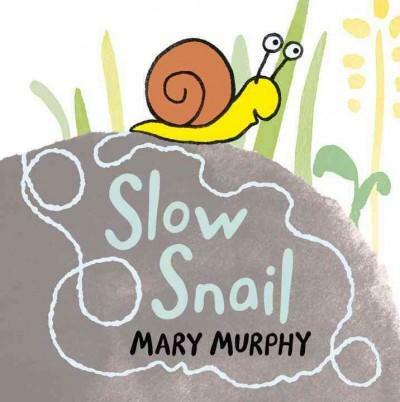 I have found myself time and again turning to Mary Murphy’s Slow Snail and Quick Duck. Both board books focus on snail and duck traveling through nature where they must go around or under or through certain things. To highlight these directional skills, I use the actual book as a prop to demonstrate the directions. I also enjoy these books because the pictures are simple but appealing. I also think it is important for infants to see their world in books. As a children’s librarian in a major urban setting, I love books that showcase the wonderful things about cities. Brian Biggs, a local author and illustrator, understands how cities are a great backdrop to a book. One such book is 123 Beep Beep Beep! 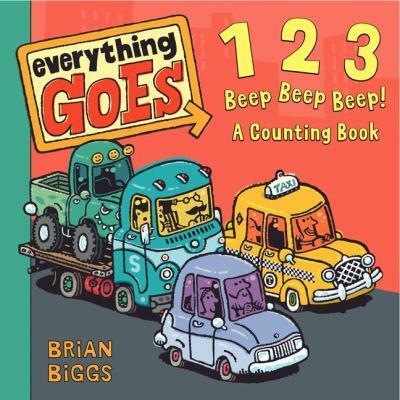 : A Counting Book, from his Everything Goes series. This book has a simple city setting, which includes a city bus, bikes, and food trucks. I also love it because it lends itself to a nice transition into singing "The Wheels on the Bus." It also shows caregivers that counting practice can happen anywhere, even as you walk down your street. I would also recommend Biggs’ other board books in this series, which include Stop! Go! : A Book of Opposites and Blue Bus, Red Balloon: A Book of Colors. As you may know, the youngest infants aren’t able to distinguish colors very well, so black and white books are best. I will often pull out Look Look Outside! by Peter Linenthal. Although this book is not strictly black and white, it does include pops of green and the simple illustrations are easy for infants to focus on. The text is simple and includes people, places, and things. It lends itself to teach about insects, movement, sound, and more. 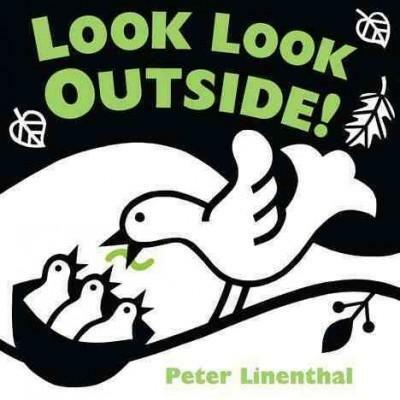 Linenthal has two other books I often use in storytime as well: Look at the Animals! and Look at Baby’s House! Infants don’t have a very long attention span and will sometimes have a hard time focusing on one thing for too long. With this in mind, I always suggest picture books that are in board book form, with simple text and illustrations, and that lend themselves to songs or finger plays. If you are looking for more picture book suggestions for the infants in your life, you can always ask your local children’s librarian or visit me Mondays and Wednesdays at 11:00 a.m. in the Children's Department of Parkway Central Library for Baby & Toddler Storytime! November is Picture Book Month and in celebration, we're sharing some of our favorite picture books for infants.